Bibox is an AI enhanced-encrypted digital asset exchange platform. The founding team is formed by top tier Chinese blockchain & Crypto giants. The team includes co-founder of OKCoin and other core founding members from HuoBi.com, which are two largest Bitcoin exchange platforms in China even across the world. The Bibox Token (BIX) is a Crypto Currency built by the Bibox.com Exchange. When you hold this BIX Token in your Bibox account you receive rewards / dividends on your holdings. Holding BIX has a lot of other great benefits aswell, like the privilege to use new applications, trading fee discount, rewards & more. 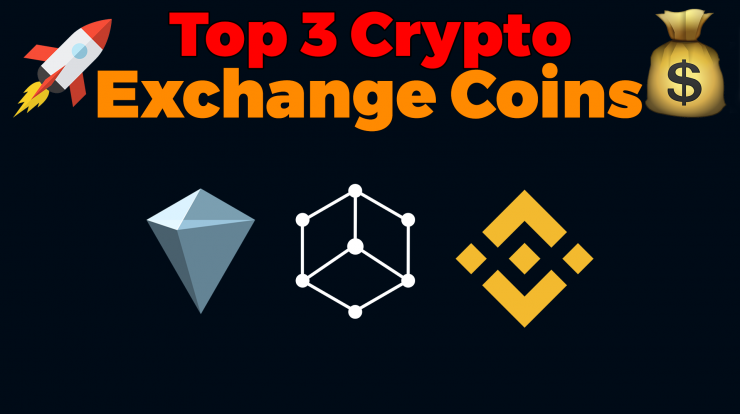 Binance is the fastest growing exchange for trading cryptocurrencies. In the short duration of 5 months, it has reached the 10th position among the top volume crypto exchanges. Binance has become so popular due to some of the factors such as availability in multiple languages, very neat user interface, and it also enables processing the orders at an extremely high speed. The Binance Coin (BNB) is a Crypto Currency built by the Binance.com Exchange. When you hold this BNB Token in your Binance account you get a discount on trading fees amongst other great benefits. KuCoin is a world-class blockchain asset exchange. KuCoin aims to provide users digital asset transactions and exchange services which are very safe and convenient. This is achieved by integrating premium assets worldwide and constructing a state of the art transaction platform. KuCoin is a full-featured spot trading platform for many digital assets and cryptocurrencies, including: Bitcoin, Ethereum, NEO, EOS, USDT, KCS and many more. Kucoin Shares (KCS) is a Crypto Currency built by the Kucoin.com Exchange. By holding Kucoin Shares you have great incentives like profit sharing of daily revenue, discount on trading fees & more. If the volume & amount of coins traded increases, the bonus of holding the Shares will increase aswell. Masternodes and Staking will be huge in 2018 – Are Masternodes the new Mining?